Many travel to the state of Nevada for a good time. Adventures in Reno and Vegas become the things that legends are made of. While most people would agree that the state has a lock on some of the biggest parties around, many do not know that it also has some of the best breweries anywhere. Next time you feel like sampling the local offerings, why not check out one of our top 10 picks of the best breweries in Nevada! Nestled on top of a natural spring in Reno, this small batch brewery is plain magical. Midtown has welcomed a new center for both dining and sharing a beer with friends. They are well known for both the amazing menu and the amazing ingredients that go into each batch of their beer. Their Jamison Station is a must try! This place is fun and a favorite local hangout. You can find many regulars playing games while enjoying a beer that is made on-site. The atmosphere is like a backyard barbeque except the digs are nicer and the beer is fantastic. Brewing beer can be quite the educational experience! The folks at IMBIB not only brew beer but they also offer some pretty fun classes on how to brew too! The stuff they brew themselves is a favorite among local in Reno. 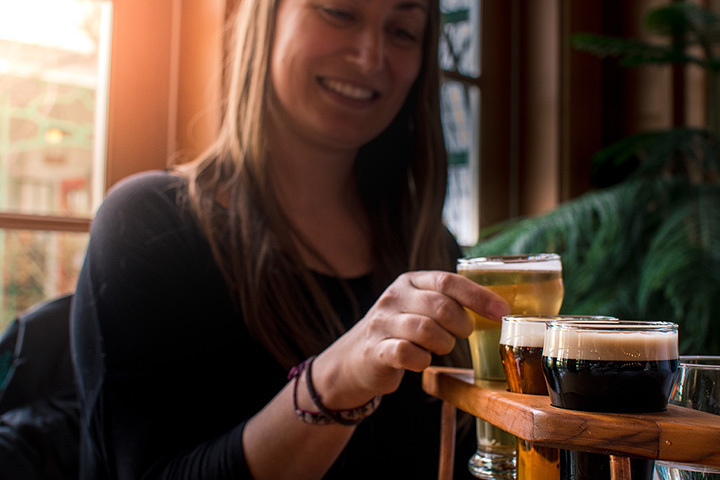 The oldest operating brewery in the state, Great Basin sets the bar for craft beers in Nevada. Their legendary beers have developed quite a fan base and the fact they have amazing food doesn't hurt either. Small batches with a creative twist are what this small company does best. Hand-crafted beer meets Las Vegas party attitude in the brewery that stakes claim to being the first in Las Vegas. The beer is brewed on-site and comes in every size from a fresh tapped pint to a full-fledged keg. This is the go to place for great beer and a friendly atmosphere in Las Vegas. Red Hydrant Ale is the must try beer for those who enjoy a great small batch beer with a backyard event. This year-round producer of fine crafted beer is a full fledged factory. They sell their beers through smaller retailers, on site and offer tours of the operations. Their Bourbon Barrel Russian Imperial Stout was recently named the top beer in Nevada by Beer Advocate. It's worth a taste and tour. This brew pub is another local favorite for those living in Las Vegas and looking to enjoy a small batch brew. While many other places on strip have signature cocktails, beer is the signature drink here. Their Imperial Stout is one of their most requested beers. Inside the Mainstreet Station in Las Vegas, this microbrewery is a great example of things coming in small packages. The High Roller Gold is a crisp small batch beer that pairs great with one of the other house specials, ribs. This microbrewery opened in 2003 on the strip of Las Vegas. They brew small batches of their five top sellers year round and also offer seasonal specials. They are unique in Vegas as they operate as an all pour outlet for both their own brews and a variety of other local favorites. Sin City Stout is always popular, as are their top selling “I Have Sinned” t-shirts. The biggest draw of this combination brewery and casino is the every changing line up of beers brewed on site. For those with families they even offer freshly brewed root beer and the most recent addition to their beers includes a grown-up hard root beer. The beers draw in the locals and their barbeque menu items don't hurt. View more Nevada Breweries and Brew Pubs.